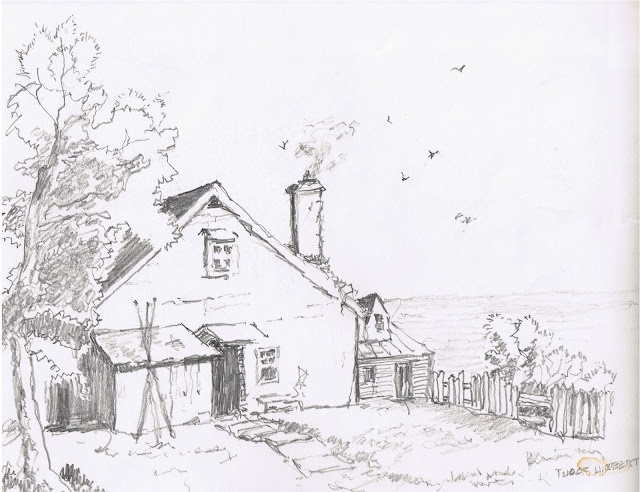 Pencil sketch of a Shack with a Smoking Chimney. undated. 8.5" x 11"